Sou Ching Hotel is under a new management team. 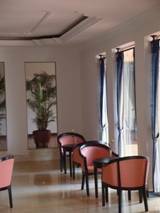 Recently we’ve renovated our facilities to provide better service to our guests. With our new renovated, modern infrastructure, hotel's excellent service and great atmosphere are important steps in the development of the Sou Ching Hotel. 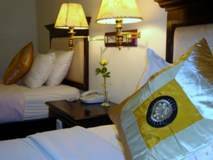 To provide our guests with a pleasant stay and unforgettable memory, we offer to our guests clean, comfortable rooms equipped by high standard facilities. Our well trained staff is at your service 24/7. Our hotel offers 2 types of room with breaking view from each room. The hotel is fully service by a team of staff and offers a wide range of facilities providing a fantastic opportunity to enjoy your trip to Sihanoukville. 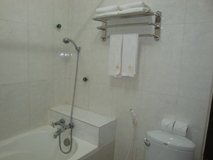 The Sou Ching hotel truly caters to all your needs. Standard Room There are 25 guestrooms in Khmer Contemporary style designed for maximum comfort, consists of bathroom with bathtub and shower and complete in-room facilities. Without window. Superior Room	18 Superior rooms equipped with modern infrastructure, featuring of comfortably bathroom with bathtub and shower, hot and cold water and bath amenities setup, overlooking the view of Sihanoukville City. 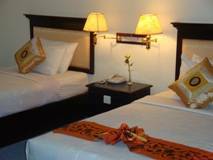 Sou Ching Hotel is located in an ecologically pure, green, picturesque and quiet part of Sihanoukville, between the center of the city and the Victory beach area. Your way to the famous Victory beach or to the business center of the city will take just 5 minutes. Sou Ching Hotel is certainly one of the most popular and affordable accommodations ever offered in the coastal Cambodia where all guests are enjoying relaxing and pleasant atmosphere in total security. Cancellation less than 3 days prior to arrival, a penalty fee will be applied for the entire period. Require full pre-payment. 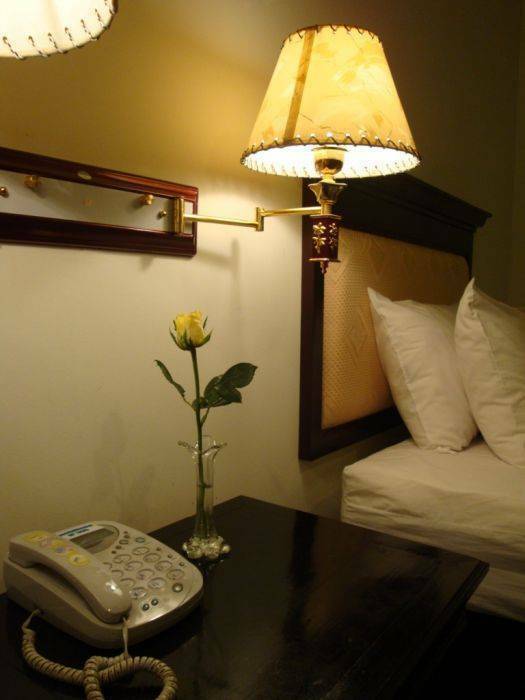 The hotel is located on Ekareach St., just 5 minutes from downtown and bus terminal.